Last month, rhino sculptures took over London. This month, it's elephant holograms that are taking The Old Smoke by storm. 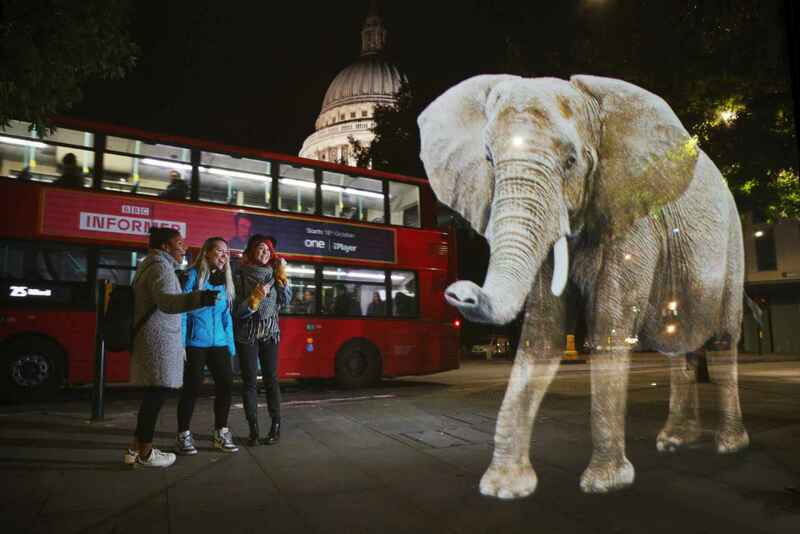 Our friends at World Wildlife Fund (WWF) commissioned the gargantuan hologram that has been wandering the streets of London and pleasantly surprising tourists and locals alike. But the hologram isn't just about fun and games (and optimum selfie opportunities), it's a strategic installation meant to raise awareness about the plight of the African Elephant leading up to a crucial conference taking place in London later this month. WWF is encouraging everyone to sign its petition to end the illegal trade in wildlife ahead of the Illegal Wildlife Trade (IWT) Conference. Their goal with the hologram is to collect an additional 100,000 signatures. Shall we see if we can give them a head start?